Vegan breakfast time is probably my favorite part of the day. Colorful smoothies that pop in colors of pink, orange, green or purple. Lively fresh cut fruit in big beautiful bowls. 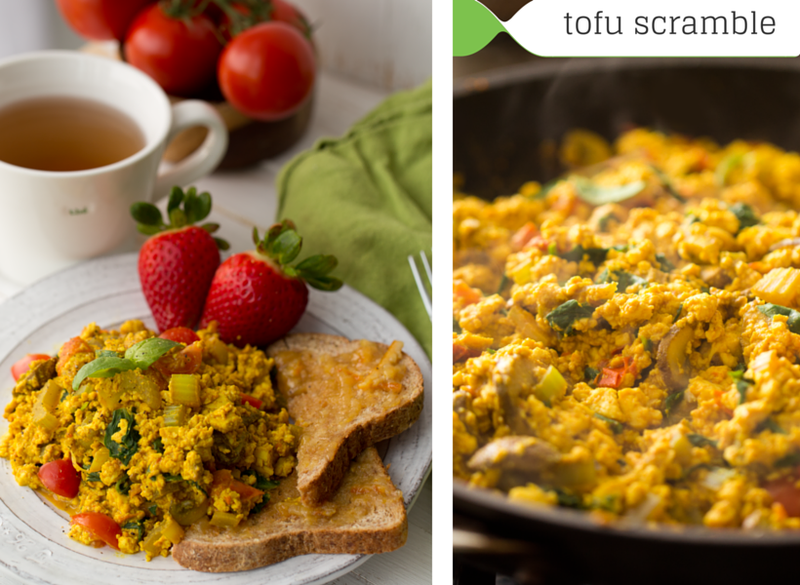 Steamy, fluffy tofu scramble scooped from a warm skillet. Deep smoothie bowls with mountains of fun + healthy toppings. Chia pudding parfaits. Warming mugs of lemon tea. Zenergizing matcha lattes. Dreamy vegan donuts, waffles and pancakes. I could go on and on... But instead, onto the fun stuff. Two Weeks of Vegan Mornings? Easy! It is so cool to be able to work with brands that do one thing: bring delicious fruits and veggies to the world. 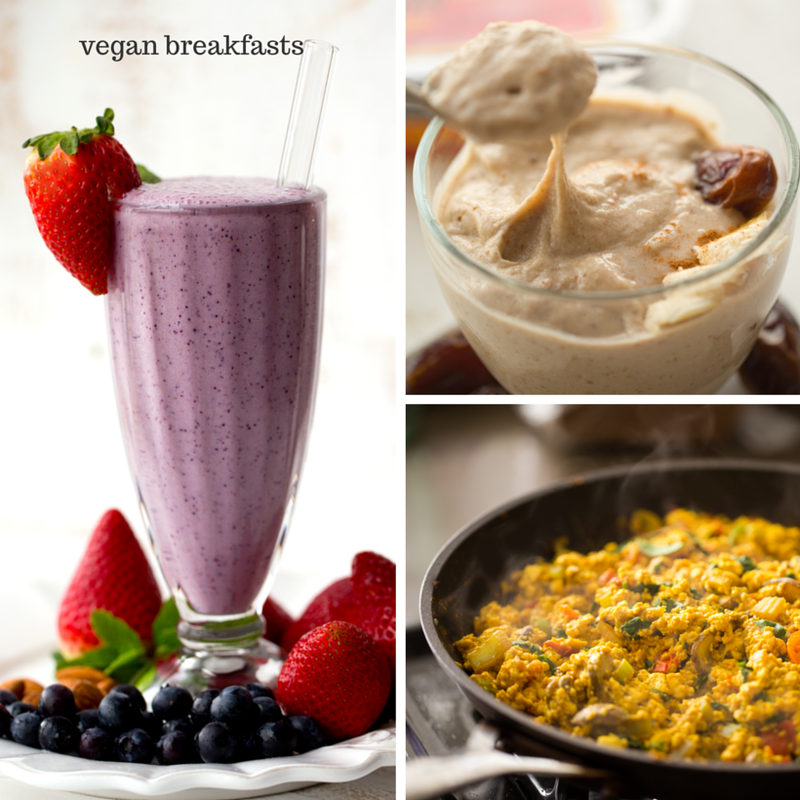 So I was so excited to collaborate with a few of my favorite produce brands on this brand new E-book: Two Weeks of Vegan Breakfasts. Inside this free downloadable PDF, you will find 15 recipes, tips, vegan resources and beautiful color photos. Snag your copy to make your mornings a little more delicious + easy! These plant-based recipes will inspire you. Plus, enter a super fruit and veggie giveaway. 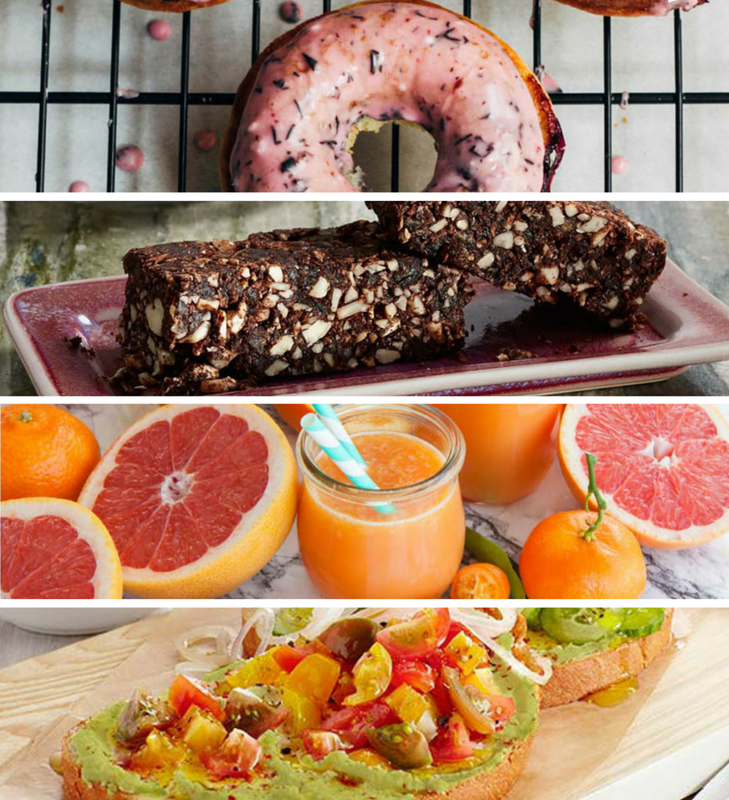 Details ahead..
Get these recipes and more inside the free E-book..
Other recipes include: Gluten-Free Vegan Blueberry Baked Donuts, Medjool Date Raw Energy Bars, Berry Quinoa Porridge, Veggie Fritter Cakes, and more. Get the E-Book from one of these lovely fruit and veggie companies. HOW-TO DOWNLOAD THE E-BOOK: Click below on one of the brand names below (Giant, Natural Delights, Duda, SUNSET®) to be redirected to the E-book entry form on their website. Fill out the form to gain INSTANT DOWNLOAD ACCESS to the e-book. Then be sure to enter the giveaway below! Tip: Choose the brand you are most interested in connecting with. - SUNSET® - get the e-book here. SUNSET® produce is well known for their stunning tomatoes, as well as peppers, cucumber and more. I am in love with their organic Tomatoes on the Vine. SO gorgeous! I also love their Kumato® and Heirloom varieties. For a stunning vegan BLT sandwich, SUNSET® has the "T" part covered! I love adding the savory-sweet-bright flavor of tomatoes and peppers to my breakfasts like tofu scramble, quiches and even veggie smoothies! - California Giant Berry Farms - get the e-book here. I am very familiar with this awesome berry company because they are headquartered in Watsonville, in Northern California, about twenty minutes from where I grew up in Aptos, aka Santa Cruz. They produce some of the most beautiful berries around! Blueberries, strawberries, raspberries and blackberries. 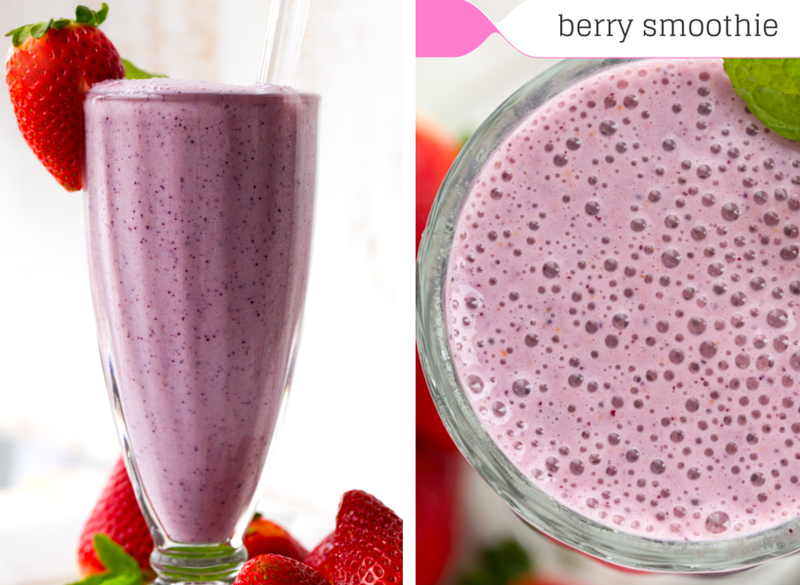 Berries are one of the healthiest foods to add to your diet. Rich in antioxidants, phytochemicals, fiber, color and flavor! - Natural Delights Medjool Dates - get the e-book here. One of my favorite companies ever is Natural Delights! I know this because I had a blast on their blogger summit last year and really got to meet the company face to face -- and see those beautiful date trees up close and personal. Medjool dates are such a magical fresh fruit. 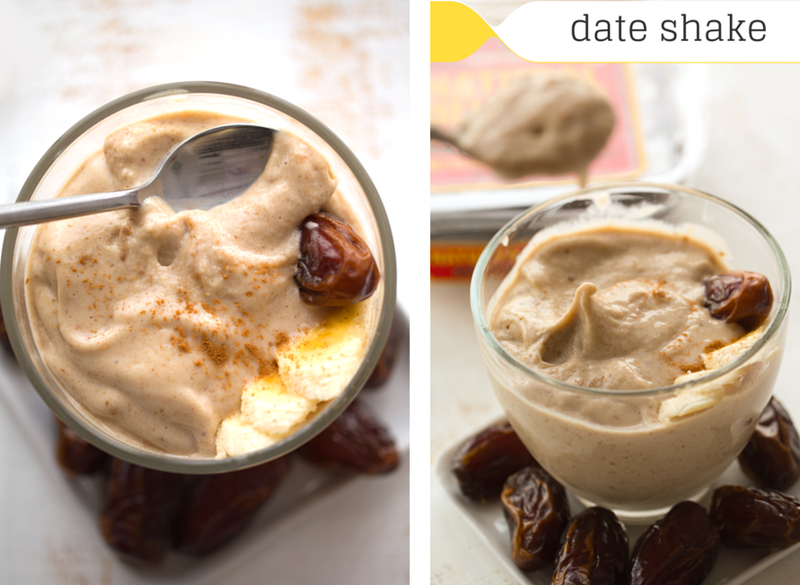 And adding dates to a smoothie or baking recipe is a super healthy way to sweeten things up. Natural Delights Medjool dates are rich in fiber and potassium and contain 16 vitamins and minerals. - Duda Fresh Farm Foods - get the e-book here. Duda Fresh Farm Foods has been growing beautiful produce since 1909. Their produce line up includes organic celery, broccoli, kale and all sorts of gorgeous citrus varieties. You can find their produce under the DANDY label in stores. I am just learning about Duda and love their brand values, and their produce is stunning. DANDY's Citrus is a perfect morning fruit - rich vitamin C, hydrating and that energizing fresh-cut citrus aroma cannot be beat in the AM! Giveaway for Fruit and Veggie Lovers! **giveaway open to US shipping addresses only. *reminder: download the e-book via the brand name links at the top of this post. Some of the other delicious recipes in the E-book!. - $50 Amazon Gift Card for whatever your heart desires. In my Popcorn Snack Bowls post. - The best face/body oil ever. In my two-step VDay / Chocolate Mousse post. 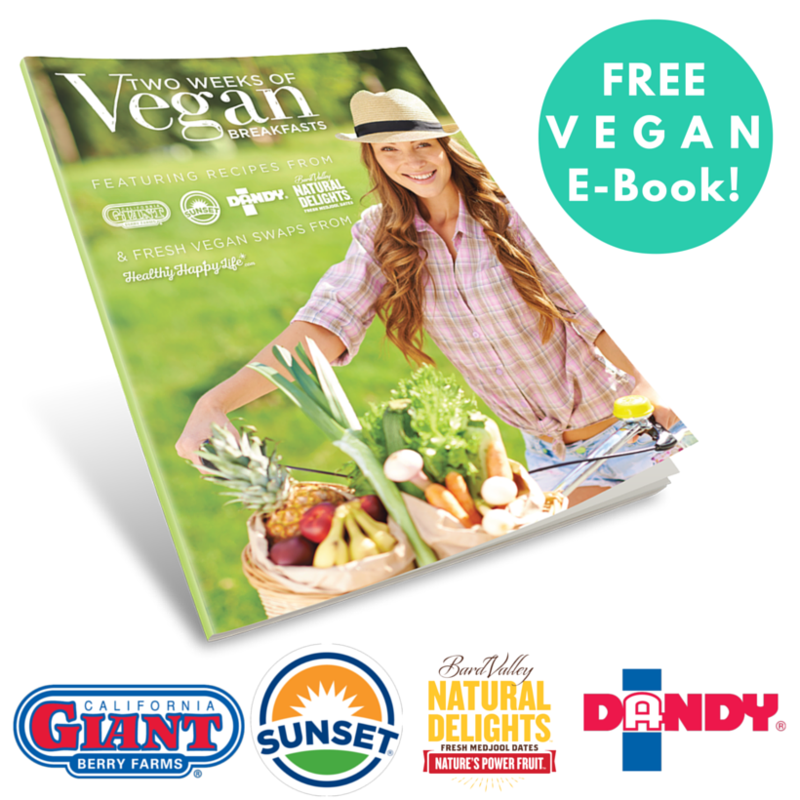 disclosure: I am honored to have been able to partner with California Giant Berry Farms, SUNSET®, Duda Fresh Farm Foods and Natural Delights to produce this E-book. I am happy to share that work with you guys here on the blog. I hope you find this to be a valuable vegan recipe resource!